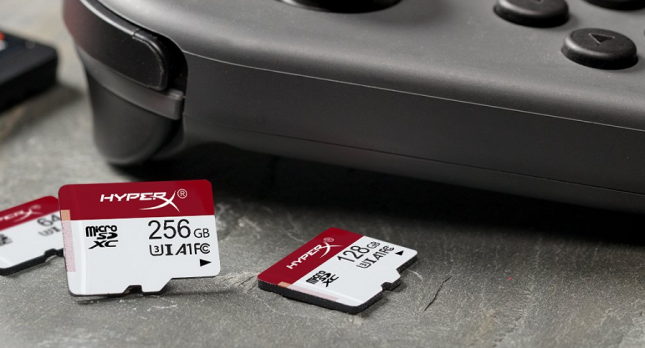 Last week, HyperX released a Gaming microSD Card series in North America aimed at mobile gamers who need additional storage space to store and play games. The HyperX Gaming microSD Cards are available in available in 64GB, 128GB and 256GB capacities and feature read speeds of up to 100MB/s and write speeds of 80MB/s. HyperX Gaming microSD cards also meet UHS-I, CL10, Speed Class (U3), A1 performance requirements. These specifications are important as they are able to meet or exceed the Nintendo Switch requirements. The Nintendo Switch guidelines note that a microSD card should be UHS-I (Ultra High Speed Phase I) compatible and have transfer speeds in the 60 – 95 MB/sec range. The higher the transfer speed, the better gameplay experience you’ll have on Nintendo Switch. We have the HyperX Gaming microSDXC 256GB card on hand for testing and ran a couple popular benchmarks to see how it performs. Our tests were done on a Dell XPS 13 9360 notebook running Windows 10 64-bit v1803. 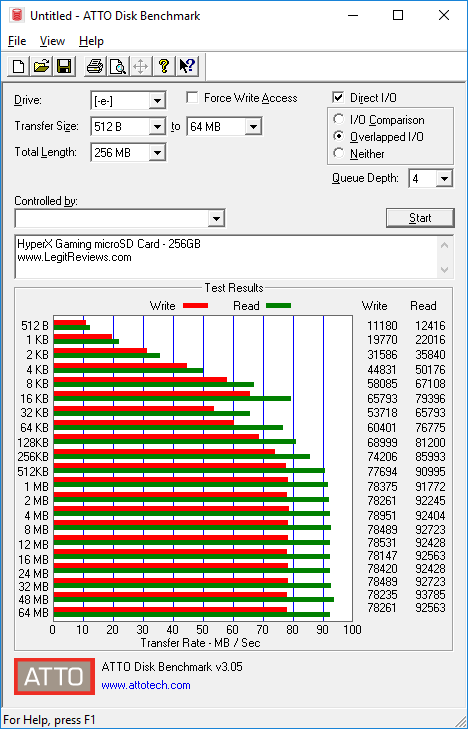 In benchmarks like ATTO Disk benchmark we were hitting 92 MB/s read and 78 MB/s write on the HyperX Gaming microSD 256GB card. This is slightly below the cards rated speeds of up to 100 MB/s write and 80 MB/s read, bit it’s pretty close and well over the minimum recommended speed of 60 MB/s for the Nintendo Switch. 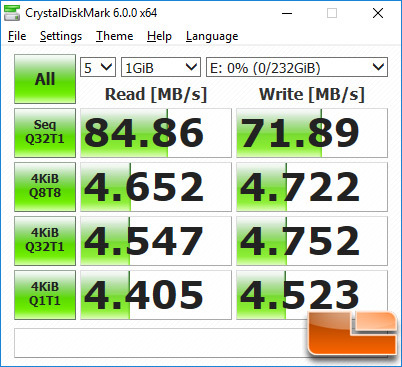 Moving along to the CrystalDiskMark benchmark utility… We hit just shy of 85 MB/s sequential read and 72 MB/s sequential write at QD32. Most mobile gamers download new games and install downloadable content (DLC) regularly, so having a microSD card for extra storage is essential. Having a fast high-speed memory card ensures you have quick load times, low patch times and smooth gameplay. The HyperX Gaming microSD card series supports 100MB/s read speed and 80MB/s write speed and that ensures you’ll get the quick access to your games you crave. 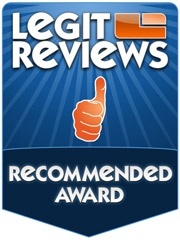 Our benchmarks came up just short of these rated speeds, but every system will benchmark differently and we are close enough to the rated speeds not to be concerned. One of our favorite features of the HyperX Gaming microSD card series is that it is backed by a lifetime warranty and free technical support. It’s a great feeling to have a lifetime warranty on a memory card and not all microSD cards have such a lengthy warranty. 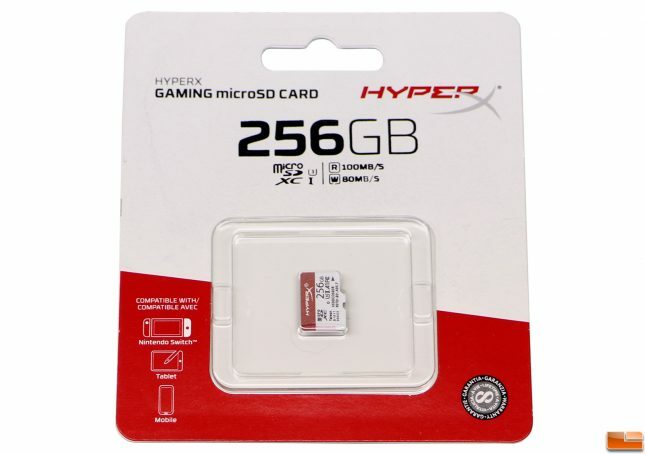 The HyperX Gaming microSD cards do not come with any adapters, so if you plan on using it on other devices or memory card readers you might need a SD adapter. Legit Bottom Line: Look no further than the HyperX Gaming MicroSD card series if you need more storage space and fast speeds for your mobile gaming device!